Company - Wohler USA Inc.
Our guiding principle "The Measure of Technology" shows the distinctive feature of our offer: Customized technology that ensures competitiveness and a leading edge on the market for the customer. Our innovations set the standards the market follows. Market-oriented products to meet our customers’ needs. Our products are held to the highest of standards for quality and reliability. We ensure we are able to deliver "the measure of technology". We offer the best possible solutions to support you (and your customers). Best support for (products) based on experience and technological know-how. Development, production and marketing are all under the same roof at Wöhler. Ongoing training to insure the best support. We focus on providing (timely and professional) service. Professional equipment maintenance helps to safeguard your investments. Maintenance, inspection and calibration services. We ensure the safety of your products. We are a technically oriented, family owned company operating on an international basis. We develop, produce and market innovative measuring, inspection and cleaning equipment for building services. We place the highest priority on ensuring our products are tailored to the requirements of our customers. That is why we keep a close personal contact with the users of our products, who are mainly skilled contractors. As the manufacturer we are able to offer them unrivaled competence as well as extensive consultancy and training services to create a complete system solution. We offer our customer the most comprehensive solution possible for their application. 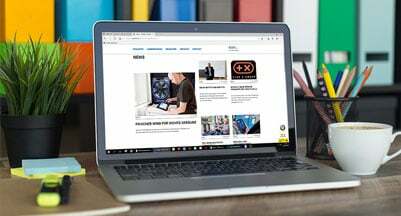 President of Wohler USA Inc.
Elmar keeps his finger on the pulse of the market to determine the next steps for the company and the industries that it serves. His vast knowledge of the equipment and applications in both the US and in other countries allows him to keep on top of the customers needs. Greg will have a dual role of operations and sales for Wohler’s product lines. A graduate of Bryant University, Greg has extensive experience with business ownership and start-ups, as well as retail, wholesale, manufacturing and national account management. Trent is our Southern Regional Sales Manager. He is a native of Virginia and a graduate of the University of North Carolina-Wilmington. With his dedication to ensuring that every customer's needs are met both big and small, he will ensure your experience with Wohler is a timely and pleasant. Tom’s strong mechanical background includes nearly 15 years as an engineering technician in the semiconductor field. He focused on equipment development and metrology. He also demonstrated new products to customers. She also heads up our Customer Service Team. Whenever you call our office you will hear Sue's extra pleasant voice and NOT some frustrating recorded voice. From Customer Service to Shipping and Receiving to Billing and Inside Sales. Sue wears many hats at Wohler USA and she is our "go-to" person for all of our customer's needs. Call2Recycle is the only free nationwide program to collect rechargeable batteries and cell phones. It is run by the non-profit Rechargable Battery Recycling Corporation (RBRC). The goal of this program is to encourage the green business practices and environmental sustainability. In order to help protecting the environment, Wohler USA Inc. has joined this program. Do you need to recycle Ni-Cd, Ni-a Li-ion, Nio-Zn or Pb batteries weighing up to 11 lbs? These batteries can be dropped off at Wohler USA headquarters or at any one of the Call2Recycle recycling locations throughout the United States or Canada. Due to very strict shipping guidelines, batteries cannot be send back to the recycling centers. Take a look at the official call2recycle homepage for more information about the program.